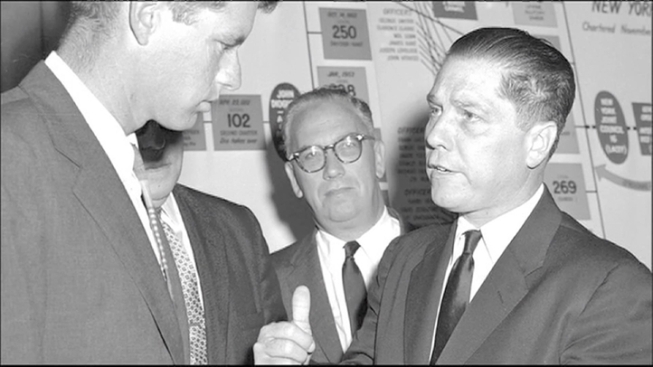 Federal authorities are digging up a field in suburban Detroit as they search for the remains of Jimmy Hoffa, potentially ending one of the greatest unsolved mysteries in American history, NBC 4 New York's I-Team has learned. A law enforcement source said the feds are searching for a shallow grave in the spot where a reputed former gangster exclusively told NBC 4 New York that Hoffa was buried. The FBI had no comment Monday. In an exclusive interview in January, Tony Zerilli, alleged to be the former underboss of Detroit's biggest crime family and a main character in Hoffa's disappearance, broke his silence to NBC 4 New York after decades of refusing to answer anyone's questions. Tony Zerilli, alleged to be the underboss of Detroit's biggest crime family, is breaking his silence on one of the greatest unsolved crimes in American history. Zerilli told NBC 4 New York that the union leader was buried in a field in suburban Detroit -- about 20 miles north of the restaurant where he was last seen. That's where feds were moving earth Monday. He sat down again with NBC 4 New York Monday, satisfied that FBI agents appeared to finally be taking his story seriously. "I'm glad to see it. I'm glad to hear it," said Zerilli. "Now everyone will know what I told them is what happened." He also revealed for the first time Monday how he believes Hoffa was murdered. "He was picked up and buried alive," said Zerilli. "That's how I believe he was killed." Federal authorities would not be searching that field if it weren't for Zerilli, 85 and barely able to walk, coming forward with his claim in January, investigators say. 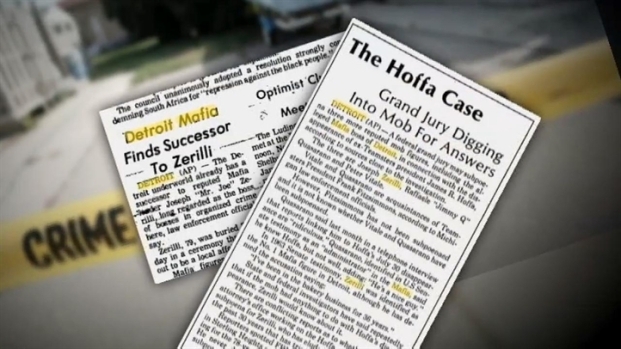 Law enforcement sources said Zerilli, who was second in command of Detroit's mob family when Hoffa disappeared, is the most credible person to speak since Hoffa disappeared in July 1975. Zerilli said he wanted to set the record straight about his life -- and what happened to Hoffa. Zerilli denied ever being in the Mafia or having anything to do with the disappearance of Hoffa. "I had nothing to do with this, and I understand it," he said. "That's all that's important. Some people don't understand it, and that's their problem, not mine." The alleged ex-mobster said he was crushed when Hoffa vanished. It was news he received while behind bars after he was convicted for being involved in illegal operations in Las Vegas casinos. “They accused me while I was away," Zerilli said in January of his time in prison. "If that’s not an alibi I don’t know what the hell an alibi is." And on Monday, he said he wanted to make sure Hoffa's family finally got closure. "What I feel inside is that his family would certainly like to see him properly buried," he said. "I think it's a sin what happened. I'm sure everyone in the family is interested, and it's the only thing I can do. What happened happened. I wish I could have stopped it but I wasn't here." The truth, Zerilli said in January, is that Hoffa never got very far from where he was last seen. He believes the union leader's final resting place is about 20 miles north of the restaurant where he was last seen, in a field in northern Oakland County, Mich. That property is also owned by the number one boss in command of Detroit's mob family at the time of Hoffa's disappearance. FBI agents did not find any human remains Monday, but law enforcement sources told NBC 4 New York they did find cement under the grassy field, another physical clue solidifying Zerilli's story.